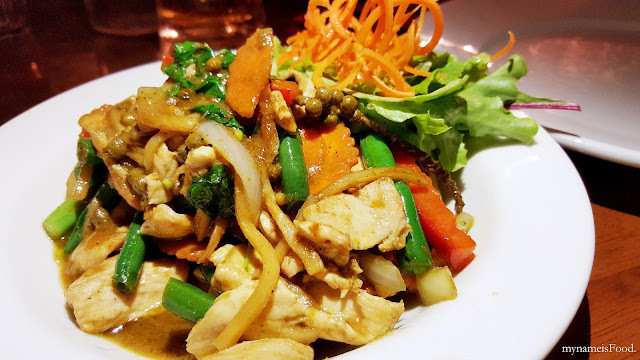 Temple Thai, Milton, Brisbane - my name is Food. 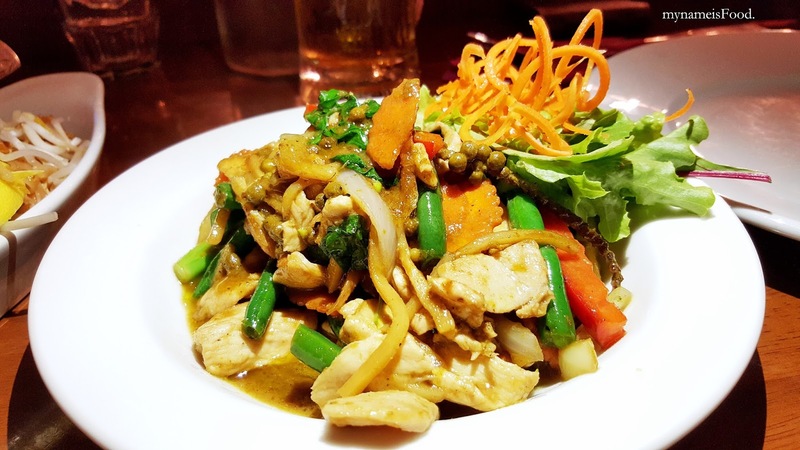 'Green Curry' (w Chicken: $18.9) is a traditional Thai curry dish which I usually order when going to Thai restaurants. 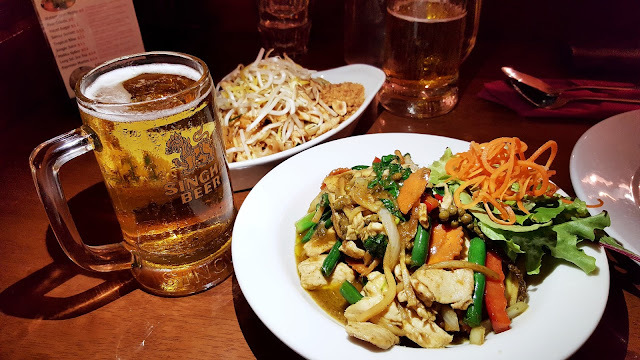 Instead of having a Tom Yum soup where many people would think is essential and is the one dish that must be ordered when dining at a Thai restaurant, I actually am not a big fan nor do I usually do order it when I dine at Thai restaurants. 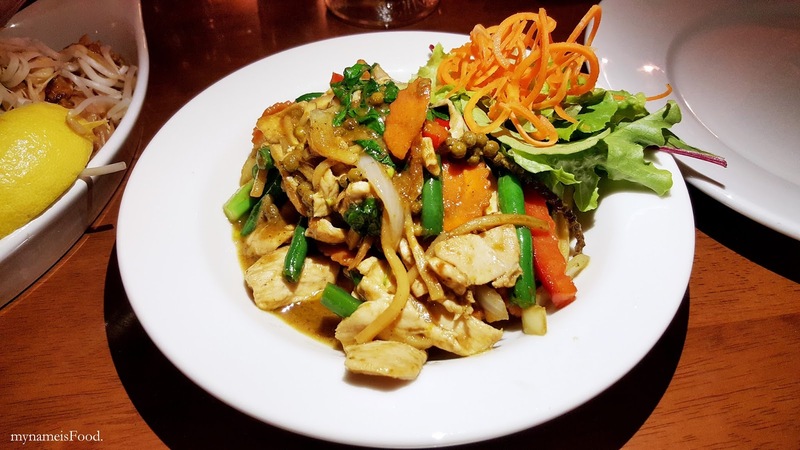 I usually tend to feel that their Green curry is always a must-to-order dish and so far, I have had many different types of green curries in different Thai restaurants. Although they may have the same curry soup base but the consistency and flavour as well as seasoning may make the biggest difference to the dish. What I found with this dish was the amount of spicyness were abit strong hence it did make me sweat a little however overall, the taste and the dish was cooked well. It had a large portion of the chicken meat as well as the vegetables as well. The green and shredded carrots were not necessarily needed but I guess as a decor. 'Pad Thai' (w Chicken: $17.9) is a stir fried noodle with pad thai sauce served with your choice of meat, bean sprouts, eggs and crushed peanuts. 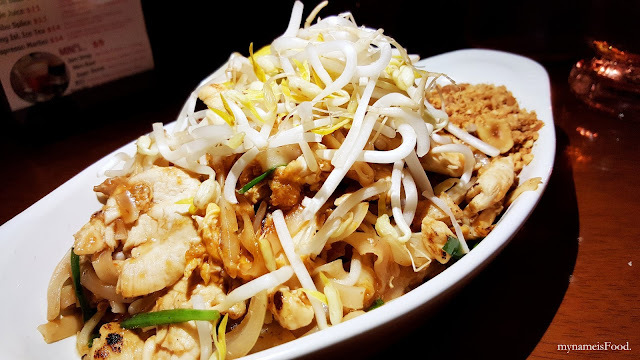 I have to say that the bowl that the noodles were served in seemed abit too small as when you do try and mix it altogether or try to grab a spoonful to put it on your plate, you do create a bit of a mess on the table. 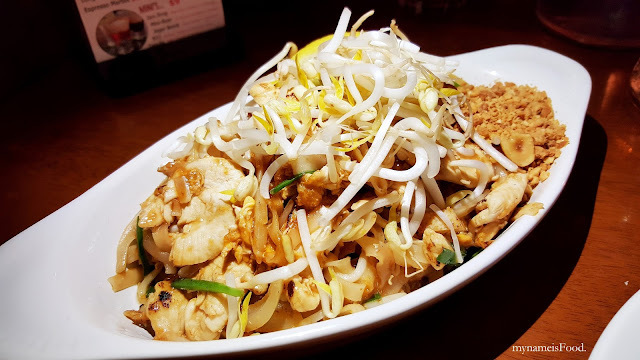 Overall, the pad thai was cooked well with the right amount of seasoning and spices. It was not spicy nor was it oily either which was good.